Featuring 12 new tracks, including covers by Steve Earle and Old Crow Medicine Show, Paid Off the Boom is The Donegal X-Press sixth studio album and an audibly artistic detour from their previously recorded material. Paid Off the Boom spans honest introspect to lustful excess while engaging in a wide variety of musical styles. There are songs of forgotten wars, irreverent accolades, ill-gotten romance, honest love, and summer employment. 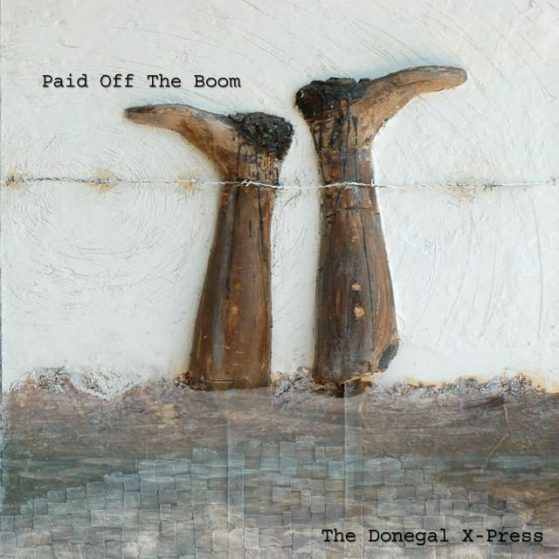 Paid Off the Boom is the next generation of The Donegal X-Press development as both band and bard.